Thank you to everyone who left a comment on my sons photo [see the previous post]. He was overjoyed with the amount of comments left for him. If it helped contribute his liking to photography, then yes, my ploy for comments was well worth it. 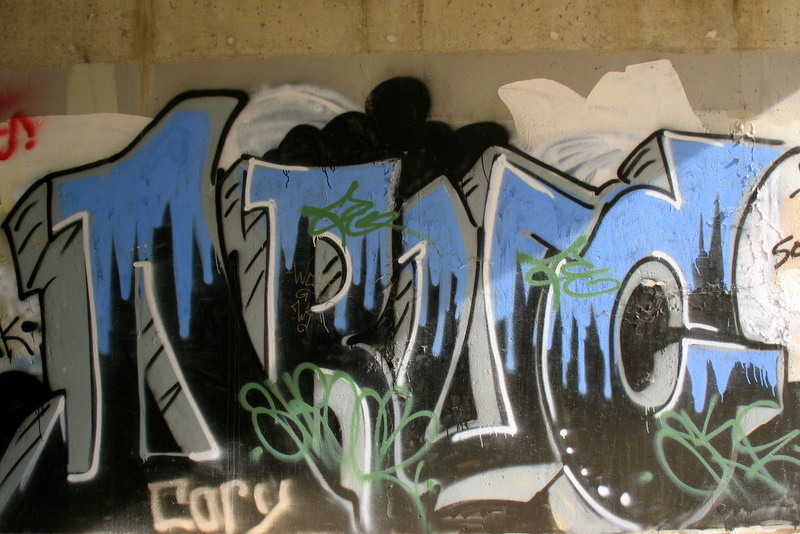 I'm back under Highway 61 for this graffiti photo. When I was younger, I always used to draw names very similar to this style of font lettering. Granted, I never once felt the need to spray paint it on a wall, I was happy enough with paper.